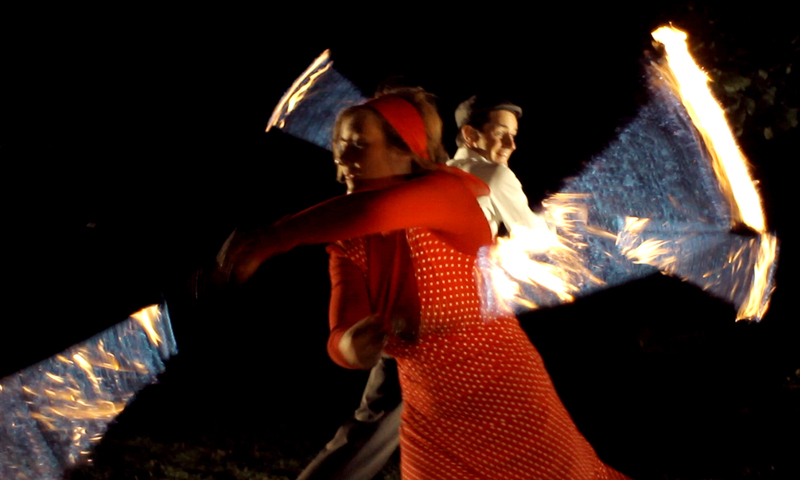 It’s Swing Time! 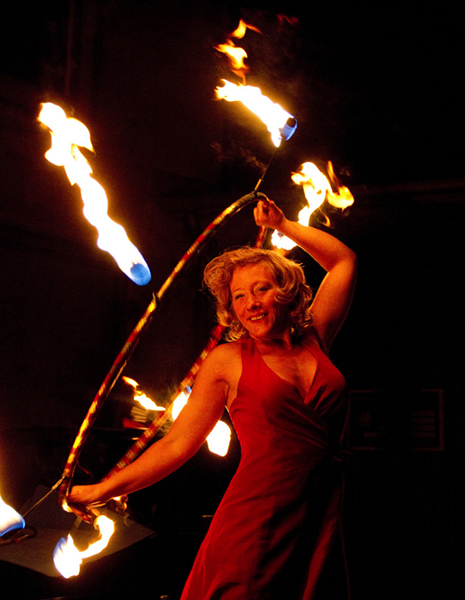 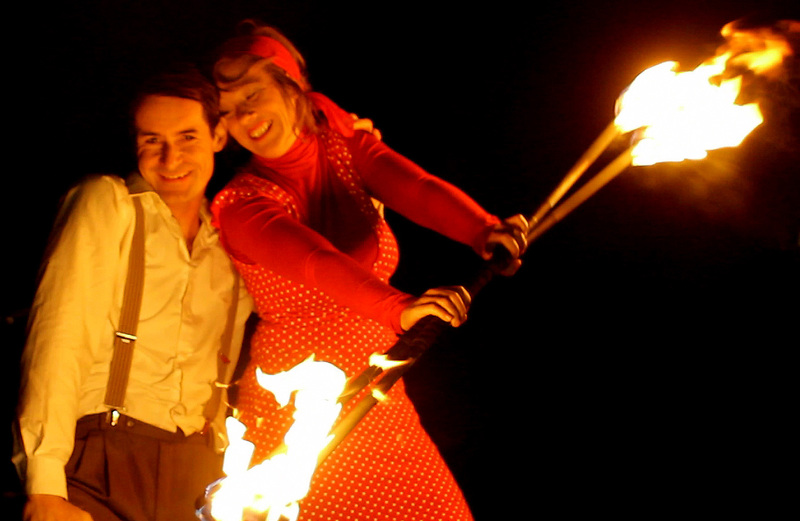 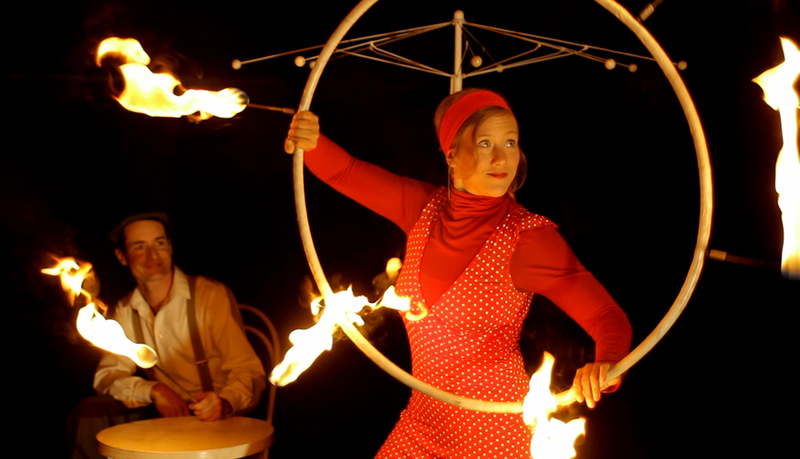 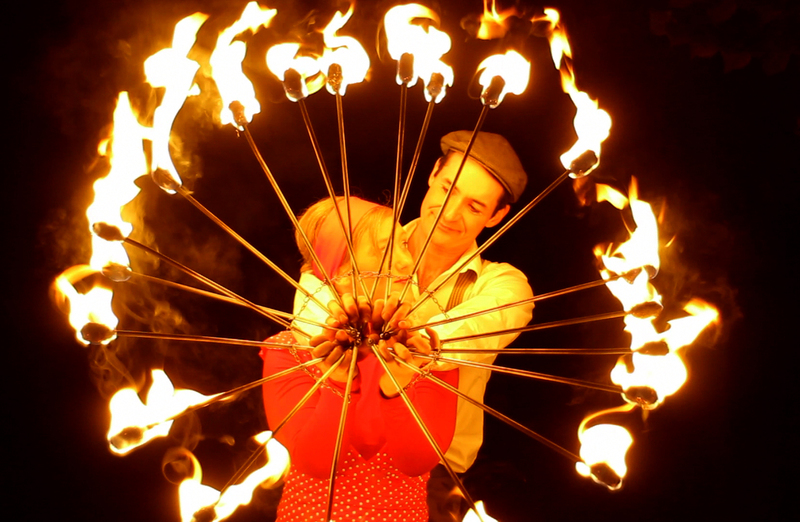 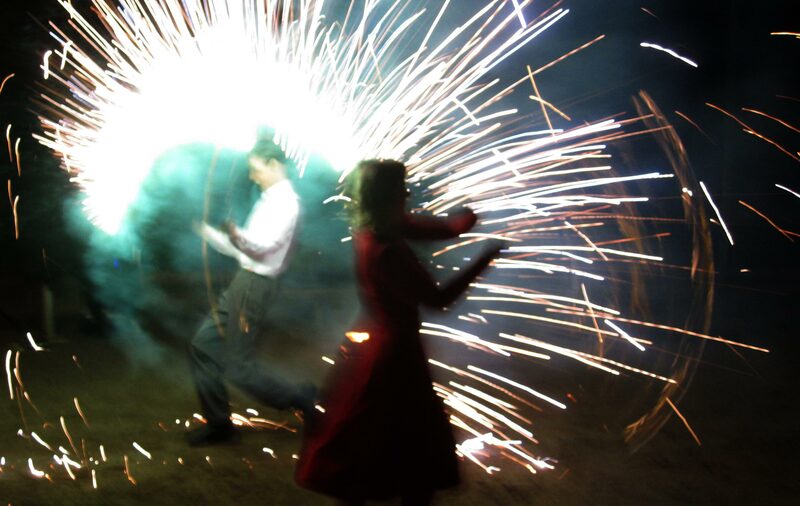 Our fire duet dances to swing electro swing music, and invites the audience with burning umbrellas, double sticks, fire poi, fire ropes and flaming fans – and whisks them into the the amazing 1920s. 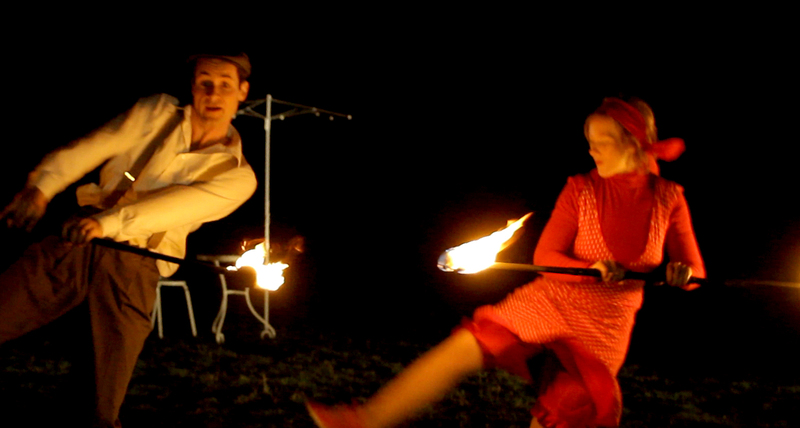 Look forward to a show full of excitement, and watch the first dance of Jane and Joe – when they first meet and catch fire! 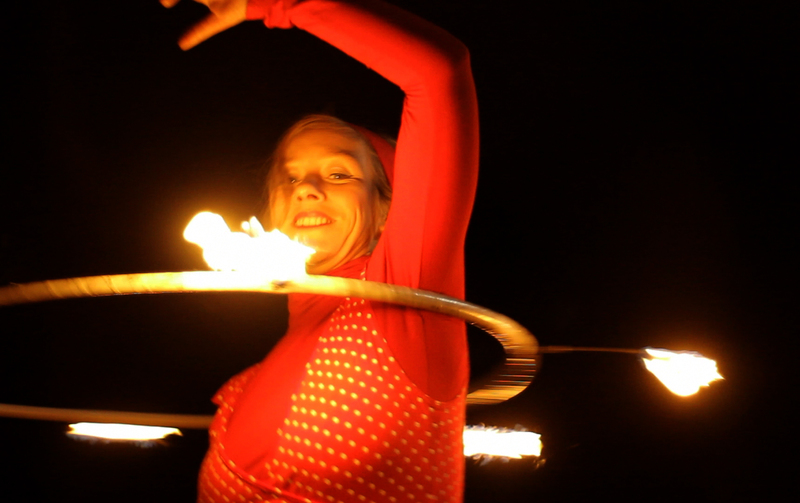 So vibrant, so warm and so sensual – this is real fire dance! 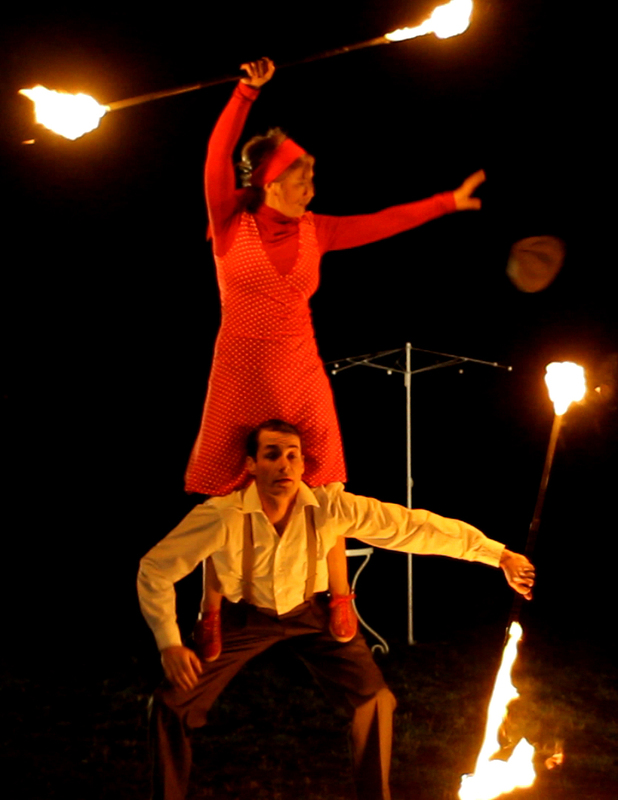 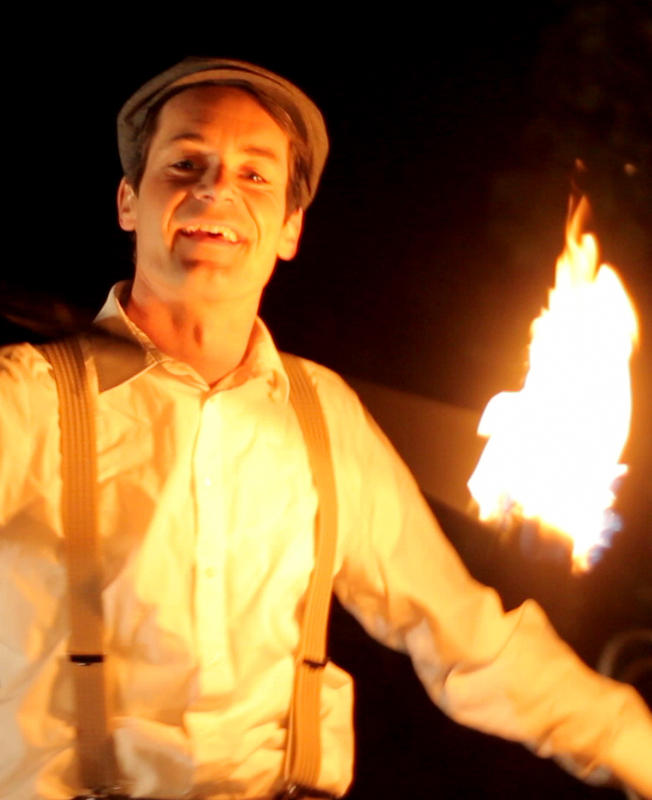 Fire juggling, acrobatics and dance with two artists. 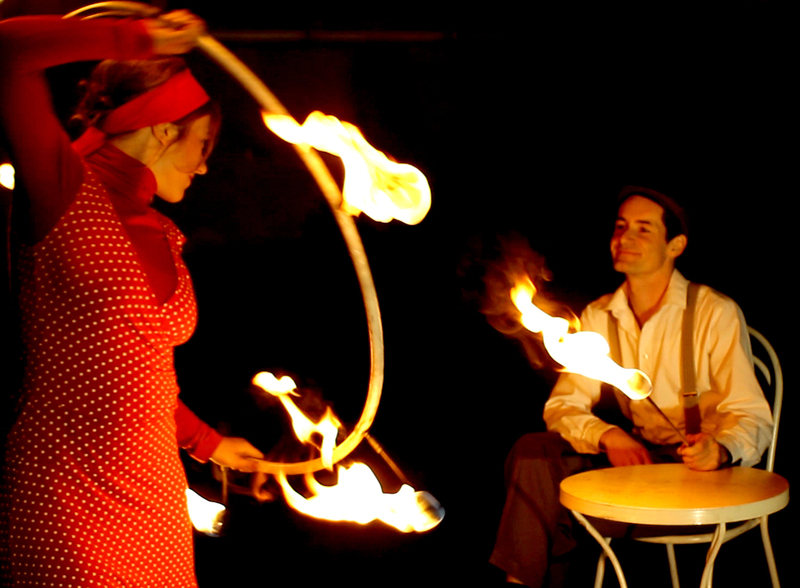 A show in the same style is also available as a solo.